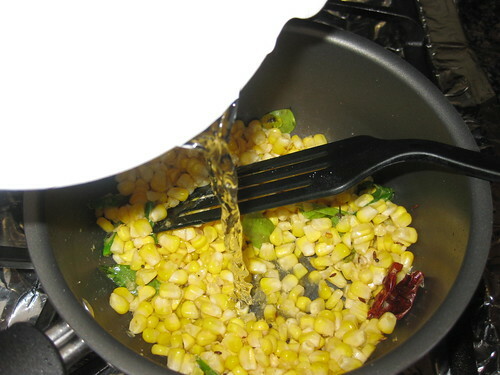 Remove the kernel of corn from the cob. 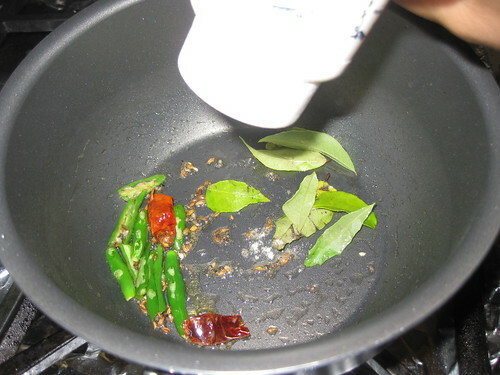 Heat oil on a pan add the cumin seeds,mustard seeds,wait till its pops up. 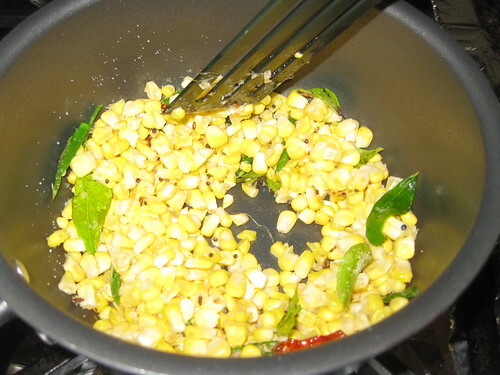 Now add the green chillies,hing,curry leaves fry few minutes. 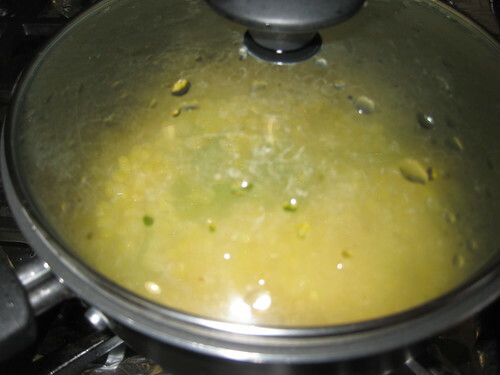 Now add the corn kernels and salt to it mix well.Add the 1/2 cup of water to it.Cover the lid and cook until corn is cooked.Remove the lid and stir fry over high until the moisture is all done. 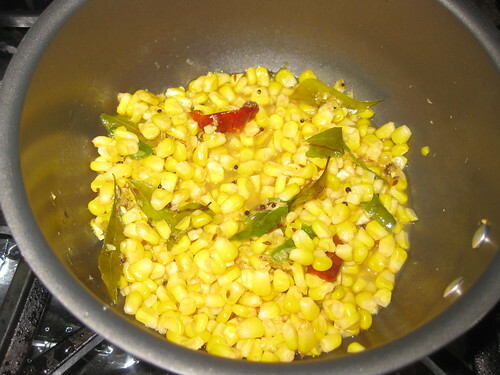 Serve warm along with tea or coffee as a healthy munch. 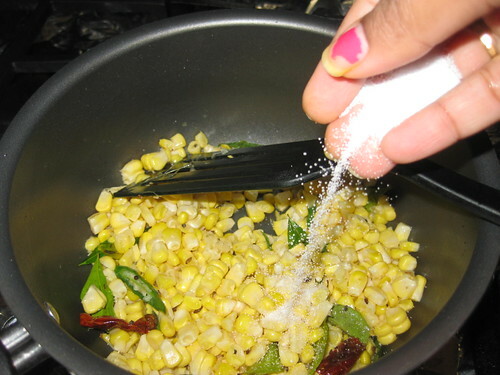 wow such a refreshing recipe. healthy and yum. 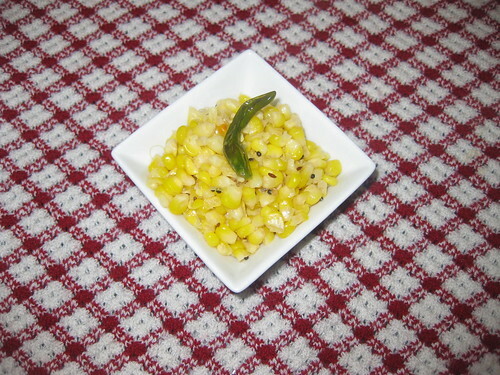 Shubh Navaratri to u n ur family...delicious sundal. 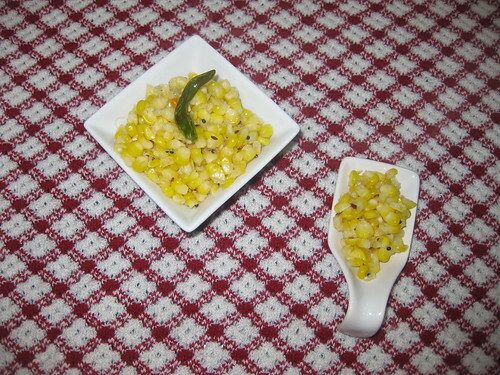 Lov sweet corn,simple n yummy sundal.. 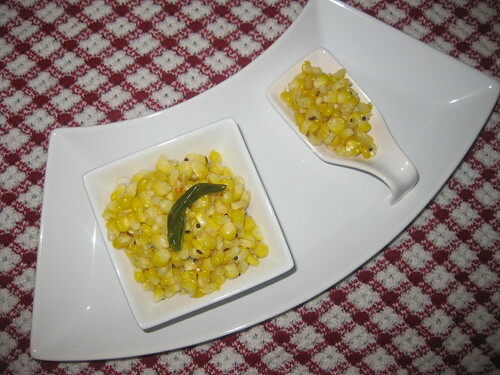 Simple yet a delicious snack to munch on. 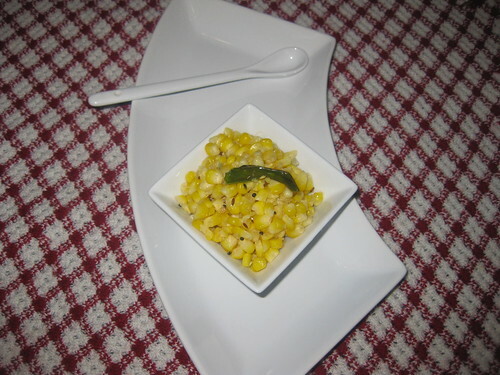 Quick and delicious sundal,loving it.